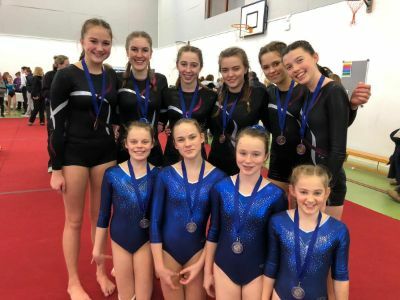 Best Ever Results for SHSK Gymnasts! Our U14 and U19 gymnasts took part in the BSGA Regional Floor and Vault championships at Gerrard's Cross on Sunday. U14s were placed 2nd and U19s 3rd - the first time St Helen's teams have ever been placed in this competition. Fantastic work girls!